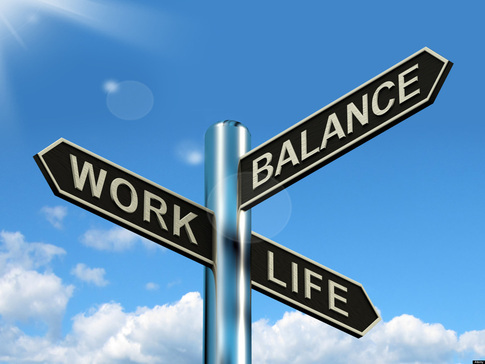 What Is Work-Life Balance? “A concept including proper prioritizing between "work" (career and ambition) and "lifestyle" (health, pleasure, leisure, family and spiritual development/meditation).” Work-life balance can mean different things to different people, but overall, most people find that the work-life balance is finding time or other resources to meet the needs of work expectations and life (family , friends, etc). However, in reality, it is more. Having work-life balance also means that you are able to find happiness in the experiences you have in work and your life. WorkplaceTrends.com and CareerArc completed the “2015 Workplace Flexibility Study”, which was based on a national survey of 1087 professionals. They found 67% of HR professionals think that their employees have a balanced work-life, yet 45% of employees feel that they don’t have enough time each week. If you are currently seeking employment, look for employers that have a strong focus on work-life balance. Many companies put their beliefs about this on their website. In addition, many companies offer benefits such as working from home, extra vacation or sick days, resources such as employee assistance programs and wellness programs. If you are currently employees, have a conversation with your boss regarding your needs. Be prepared to offer suggestions on how you believe the company can help you (and possibly other employees) to achieve work-life balance. Do an inventory of all your responsibilities. Write them down. Next, write a list of all the things you would like to do, but cannot do now because of your responsibilities. Determine whether there is a way to add some of the things you would like to do to your schedule. Could it be daily, weekly, or even monthly? Are there some things you are doing now that you can cut back on or set more realistic goals? For example, if you hand wash floors, could you save time and have the same result using a mop? Are your kids old enough to maybe put the dishes in the dishwasher after dinner? Finding “extra” time can help create a sense of balance. Most people who are reading this article will probably be interested in creating a better work-life balance for themselves, because they work to much, not because they don't work enough. Some of the healthiest people I know have learned how to “leave work at work”. They almost never do work on “off-hours”. They strive to keep their work out of their personal life and their personal life out of work. They are happy, healthy and productive in their work and their personal life. Many people feel guilty for wanting personal time, which is common goal for most hard working people. We are all seeking that balance between being productive at work and enjoying our personal time. The saying, “work to live, not live to work” is a great example of keeping things in perspective. Know that your body and brain produces very specific and clear signals that you are on overload or burning out - If you know that you have been working alot, frustration, anger, anxiety, and depression are all signs that you need to rest. Becoming physically or emotionally exhausted can lead to other consequences besides just feeling imbalanced, and not remaining in balance can lead to medical issues such as increased blood pressure, elevated risk of heart attack, stomach and mouth ulcers, and migraines. In addition, it can lead to mental health issues such as depression and anxiety. Preventative techniques are important to avoid these conditions. Try to use steps 1 through 4 to prevent medical conditions. If you find you are beginning to have issues, talk to your supervisor. Be honest about what you need. Talk to your spouse or family or friends to see if they can assist. A successful work-life balance is a central goal for most people who work hard, so looking for a company that believes in work life balance or wellness is a good place to start. If you are already employed, talk to your supervisor to see if there are ways the company can help you to achieve balance. Seek help from your spouse, family or friends. Having work-life balance is possible.